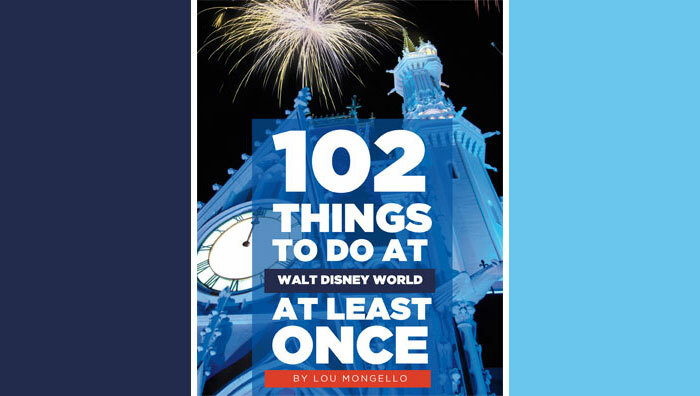 This column is typically about finding those little glimpses of Disney magic in daily routines. For four weeks, though, we’re taking the phrase “Finding Disney” and turning it on its head by asking this question: How do you find Disney when you’re in Disney? 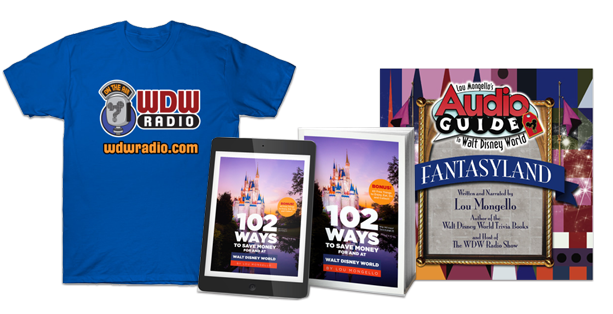 Everything experienced on Walt Disney World® property has ties to Disney in some way, obviously, but some attractions, atmospheres, and elements permeate with a deeper sense of embodiment for what the Disney name truly means to all of us. Today we’re exploring Epcot® to find those special things that, in every way, stand testament to the essence of the park, and, by extension, the Disney name itself. Since magic is measured in different ways, we’ll have three categories: the grand magic (that pull-out-all-the-stops mega-production that Disney knows good and well is going to make you cry), the fun magic (that thrilling, throw-your-hands-up kind), and the simple magic (those overlooked happenstances that, small as they are, might be the best part of your day). They’re all so different, but they each serve their purpose as a beacon of what Disney magic is and the emotions it prompts. If I’m being honest, for a long time I didn’t really “get” Epcot®‘s magic. Out of all of the parks, it is probably the most distinctive in steering away from what most people associate with classic Disney: an endearing fantasy story grounded in familiar characters. For the most part, Epcot® is not that. However, that doesn’t mean it isn’t magical. As I got older, I began to see this more. Epcot® is not about recalling wonderful movie memories, but really more than any other park is truly a self-assessment. As we are introduced to these worlds of discovery and innovation, from both tomorrow and across the oceans, we pause to ask ourselves how we can be part of that idea of discovery. 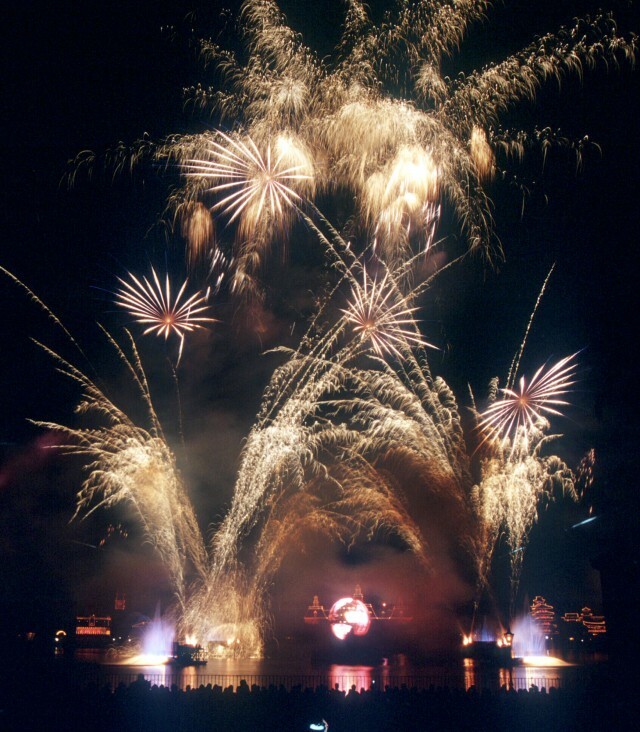 Grand magic: IllumiNations: Reflections of Earth. This is what really first clicked Epcot®‘s meaning for me. IllumiNations, in one word, is inspiring. The story it tells with music and light is a perfect ending to the day. It’s also bold in that it isn’t afraid to calm things down. There are portions with nothing happening in the sky, with subtle fountain movement, when the story and the impact of that story is in the stillness, not in firework explosions. That being said, though… when IllumiNations DOES employ pyro, it’s fantastic. I have two favorite memories from the show’s finale. The first is timing the monorail ride from the Ticket and Transportation Center to Epcot® so precisely as to glide through the park during the finale. What a view! The other is viewing the show from the ground during its Christmas ending and craning my neck completely vertically because fireworks were bursting literally right above me. I have never been so immersed in a fireworks presentation. All these things and other elements (the song “Promise”!!) make IllumiNations: Reflections of Earth very grand indeed. Fun magic: Turtle Talk with Crush. Young or old, you can’t help but smile ear to ear when watching Crush chat it up. 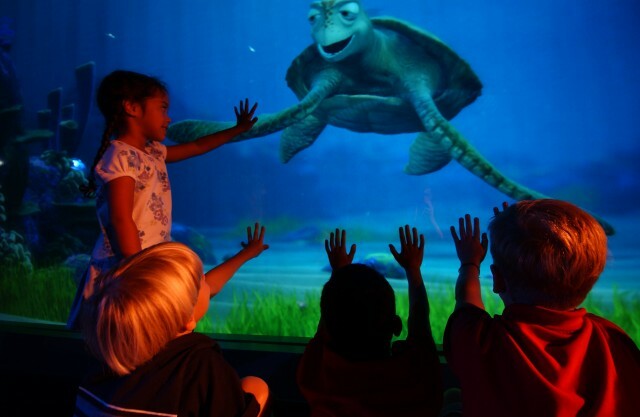 What’s special about this attraction is its spontaneous dynamic and the flexibility Crush has to steer the discussion in different directions based on the guests in the audience. The best aspect of this, though, is that guests (particularly adults) don’t really expect to be wowed like they are. It’s a relatively basic concept: talk to Crush, so expectations might not be too high, but once the conversation gets going, so does the magic, and it’s delightful. 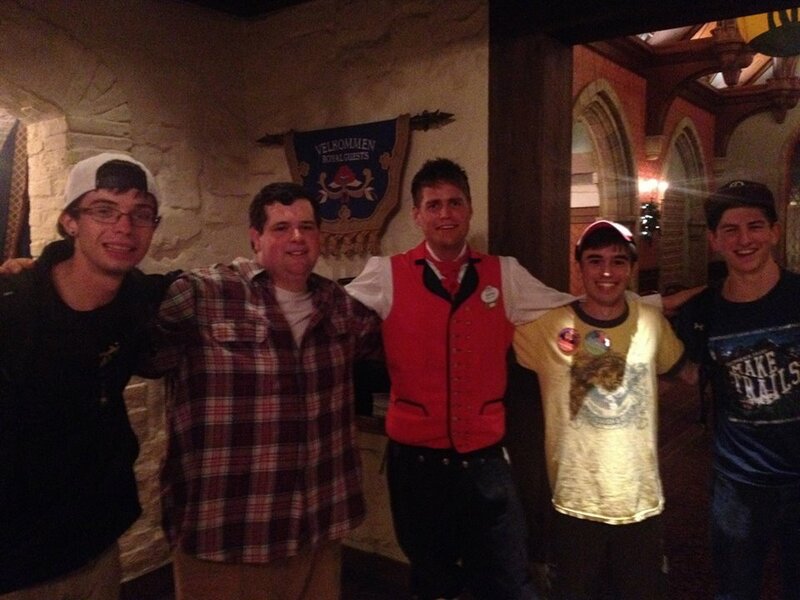 Simple magic: World Showcase Cast Members. Almost all of World Showcase is about those small encounters that make up simple magic, from exhibits to shops to street entertainment, but in its Cast Members is where we find the true heart of this area. Conversations with them add depth, another layer of the authentic World Showcase experience. Where do you find Disney most in Epcot®? What experiences would you classify in grand magic, fun magic, and simple magic? Share your memories below! Great article! I too grew fonder of Epcot as the years passed. No longer do I find myself RUNNING towards Space Mountain or Soarin or Tower of Terror. I instead look forward to walking around the World Showcase enjoying the sights and sounds and FOOD! That is where I find my Grand Magic – in all the wonderful food choices. As an example of this, my wife and I went to Disney for out anniversary – just the day mind you. So had to pick which ONE park do we go to enjoy our anniversary – and without hesitation we both said Epcot for the World Showcase. Amazing how perspectives change over time. Keep up the great work! Can’t wait until next weeks article! Love the article, Blake. I feel Disney when I see the monorail sailing overhead. When I was at Flower & Garden, I waited for tha moment when I could get the shot of the monorail and Spaceship Earth in with all the beautiful flowers. It took me a bit to see Epcot for all it’s greatness but once Christmas time hits, that is when I truly feel and find Disney. Thanks for helping me see your thoughts.